Having a magnificent garden is what the true gardener and planter want. However, it is quite difficult for us to have the perfect one. For the experienced planters, they have to take lots of efforts as well as times to take care of their garden in order to have the magnificent garden. 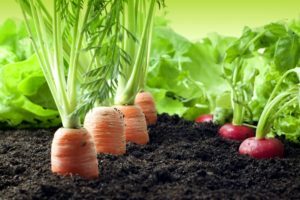 Do not worry if you are new to garden, the article – follow these 10 steps to a magnificent garden will guide and help you have your wanted garden. These steps are very simple and easy to do. As a woman, you can do it by yourself or ask your partners or kids have some funs with you as well. Let’s look at the follow these steps to a magnificent garden and start your dreaming garden. You will never want to go to the area and realize you are missing the items which could be vital to your success. 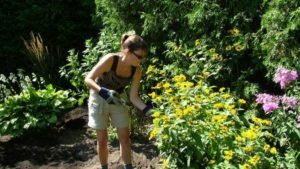 If the seeds or trees are the essential, garden tools are the important factor for your planting. 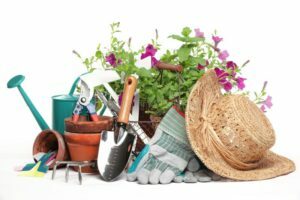 There are the various types of garden tools sets in the market, and if you do not have one yet, go and pick one for yourself now. Besides that, if you want to let your kids have some fun with you, you should consider buying the safe garden tools. Especially, the gloves are the most necessary item for both of you. Never plant your trees in the humid or wet areas. Almost vegetables and flowers need at least 5 hours of full sun each day to grow up fully. Therefore, you have to find the place which has enough sun for the trees. In case, if it is too much sun rays, it might cause the death to the tree. In case, you are not sure or do not know how to do, you can ask the staffs or any local garden center for more information. Now, you need to get rid of the sod which is covered that areas that you want to plant. Additionally, if you want the quick result, the experienced gardeners advise you should dig it out. It will be smothered easier with the newspapers. However, it will take us around 3 or 4 months for the compost and paper to decompose. If you truly want to plant the trees and make a lovely garden, you should prepare yourself a soil test kit. This product does not cost us much money. It is around ten to twenty dollars. Checking the soil before planting the trees is very necessary because it will let us know clearly which nutrients that we need to add for the healthy trees. Before starting planting any seeds or trees, you must think of how large the trees will be in order to choose the right plot and pot. As a starter, you should start with the small garden. In fact, you can create a small garden near your apartment window. Simply place a big pot there and filled in some herbs or small trees, you definitely have a lovely minimal garden in the next few months. There are some plants which allow you to plant in autumn or later winter, such as kale, tolerate cold or pansies. Unfortunately, there are some trees cannot be planted if the weather is too cold like tomatoes or the annual flowers. 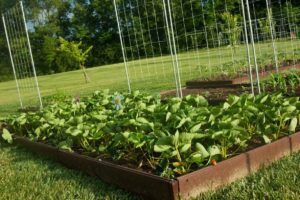 If you just start planting and want the easy trees, lettuce and sunflowers will be your best choice. You can sow it directly in the garden. However, you must read the instruction about the product carefully before starting. For example, when to plant, how deep to plant and how far apart to plant the seeds. 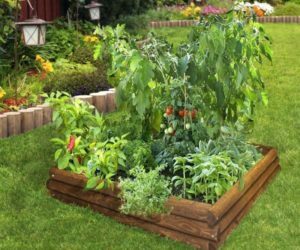 This is an important information in this article – “follow these steps to a magnificent garden”. Water is the main food of the trees. It helps the tree live and grow up. However, you cannot water it as much as you want. Seedlings should never dry out, and it needs a daily watering, but if you give it too much water, the trees will be died before growing up. 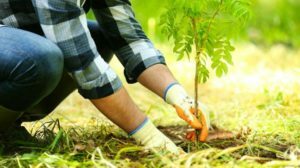 An important thing that you must know while planting the tree is that the plants are begging for water when they are under the heat of the day. Therefore, it needs to be watered; especially in the morning. You are advised to water it slowly and deeply. It helps the water can soak instead of running off into the street. Like the human, the trees do not only need the water to grow up healthy, but it also needs some extra nutrients to grow up fully. 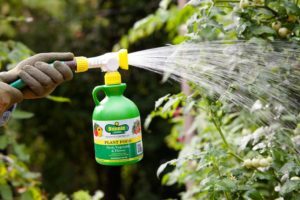 Depending on the trees that you are planting, you are going to choose the right fertilizers for it. 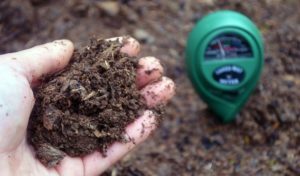 Before starting to fertilize, you should use the soil test kit to check which ingredients that the trees are lacking and needed to help it grows up fully. After all, you must usually pay attention to your garden. 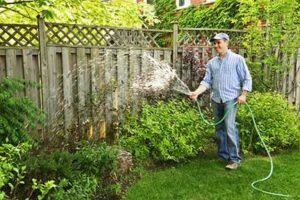 Keep watering when needed and check the soil and the tree regularly to fertilize it timely. 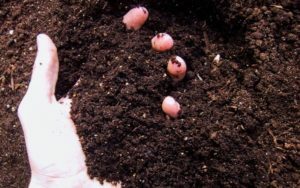 In case, you are using the liquid fertilizer, fertilize every month for the best productivity. Remember that, if the trees occur any sicknesses, you should consult the experienced gardeners as well as the staffs to treat it immediately. If you have read all the above information. You can now recognize that it will be very easy for us to plant the tree and gain our self the beautiful garden. However, you must read the instruction carefully before planting any trees in order to help it grows up healthy and full.